Equi-Heart Pledge: The Half Way Point Check In! Wow- today we're half way through the 30 day Global Heart Experiment with Horse! 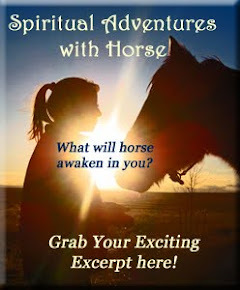 How is your life changing with the Wisdom of Horse? 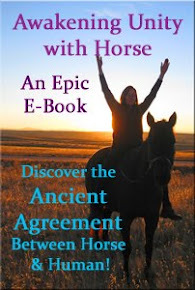 By working with all of this Horse Wisdom, I'm noticing some pretty interesting magic happening all around me! First- I'm more able to quickly shift out of the yuck than before. Plus, I've experienced more mini-miracles of synchrodestiny in a short period than ever before. And my intuition is opening more and more. I keep having very interesting experiences of saying or knowing something that is confirmed the very next moment with a person I'm interacting with! Sweet! How about you? What's shifting for you? What's been meaningful for your life? Please comment and share!